Plaintiff worked for the gas company, where male co-workers treated her like garbage and made sexist comments and gestures, i.e., urinating in her presence and denying her work-related assistance that the men provided to each other. Yes, the locker room mentality can extend into adulthood. The question here is whether plaintiff's hostile work environment extends into the limitations period. It does not. 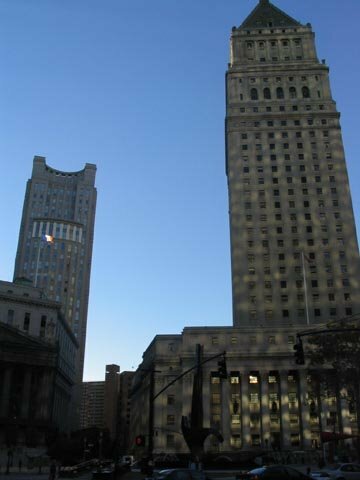 The case is Sanderson v. New York State Gas & Electric Corp., a summary order decided on March 27. The harassment mostly happened from 2002 through 2006, when plaintiff worked on the day shift. Then plaintiff transferred to the night shift. Then, in 2009, her supervisor returned her to the day shift. Back on the day shift, the men engaged in continued "snickering and under-the-breath comments." The EEOC charge was filed in February 2010, within 300 days of the snickering but more than 300 days from the more serious harassment. If you are the victim of sexual harassment, call a lawyer right away. Don't sit on your rights. This case is a good example. The Court of Appeals (Leval, Calabresi and Lynch) notes that you have 300 days from the last act of harassment to bring a harassment charge with the EEOC. If some of the harassment took place prior to the 300 day period, you can still bring an EEOC charge if some of the harassment took place within the 300 days period. Plaintiff says that the transfer to the day shift was an act of continued harassment and that the snickering and under-the-breath comments also constituted continued harassment. The more recent harassment has to be related to the otherwise time-barred harassment for the plaintiff to proceed under Title VII. The case that really gets into this is McCullam v. Cedar Graphics, Inc., 609 F.3d 70 (2d Cir. 2010). Plaintiff does not meet the McCullam test because there is no showing that her transfer back to the day shift was related to the earlier instances of harassment, or that it happened because of her gender. In addition, the snickering and other comments were not related to the earlier harassment. She does not know what those comments consisted of, and "[s]uch occasional, unspecified sotto voce comments are too insubstantial to contribute to a hostile work environment, and thus to permit consideration of earlier instances of harassment." In other words, a comment "that was a most unrefined or uncivil, rather than 'obscene and lewd, or even sexually suggestive'" is "too trivial to contribute to a hostile work environment claim."